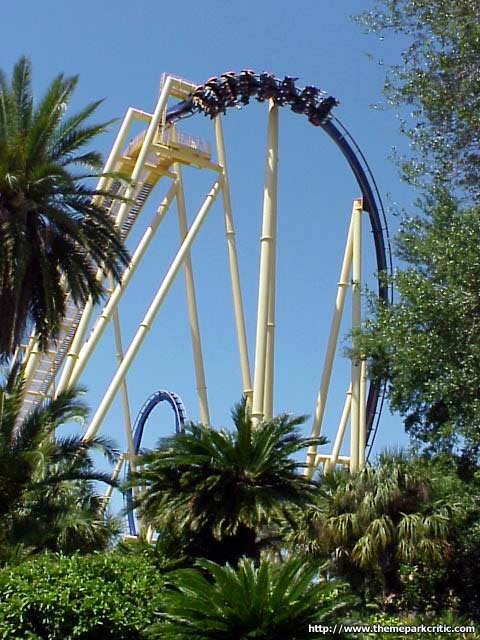 The best inverted coaster I have ever ridden. 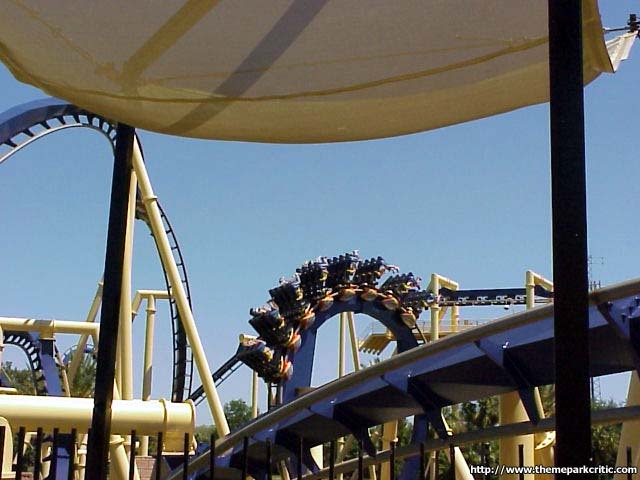 It starts relatively tamely, but comes on with a ferocity through the in-line twist and batwing. 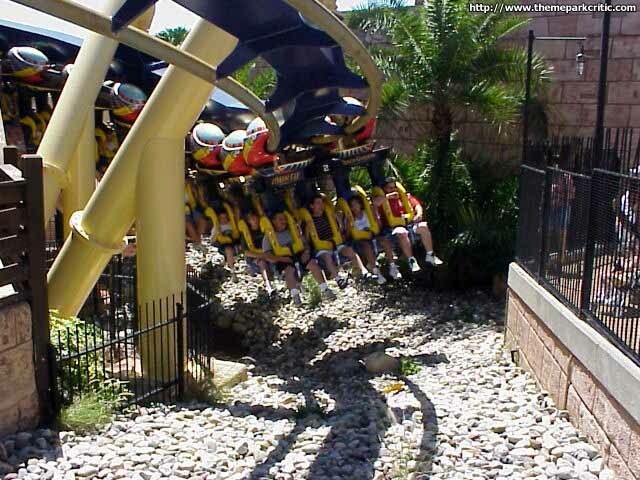 The buried corkscrew at the end is a great finish to an outstanding ride. 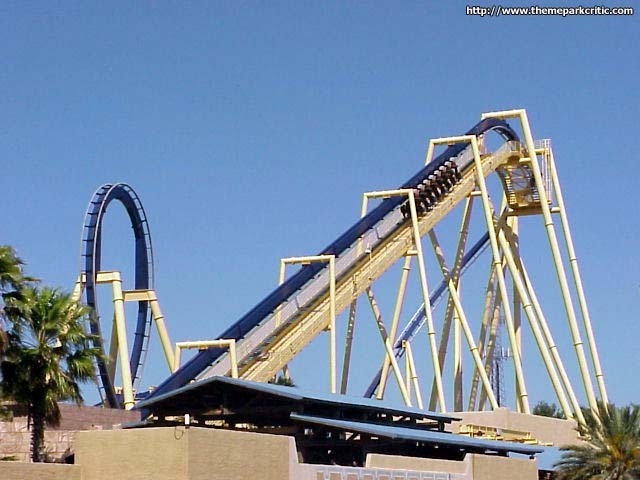 Not the best B&M inverted coaster, although that doesnt mean much. 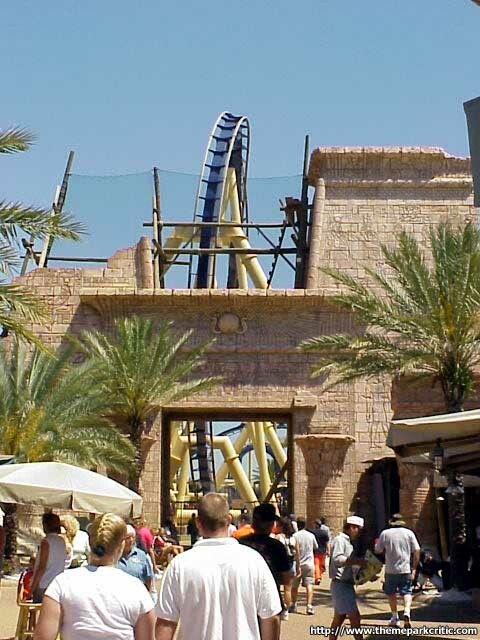 The ancient Egyptian themework is carried out very well and that makes for a fun ride. 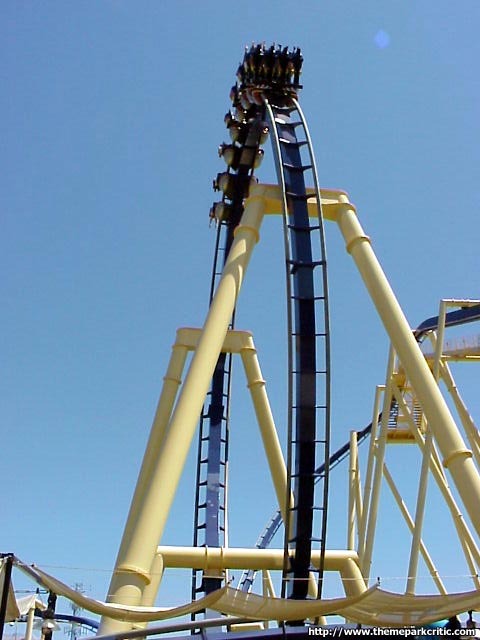 The first drop is the best feature. 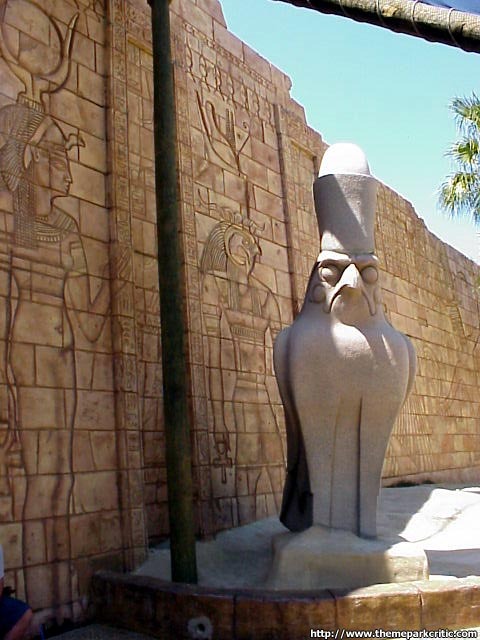 Traversing through seemingly narrow faux-ancient city streets adds a different thrill, but the timing of elements is not as crisp as Raptors at Cedar Point. 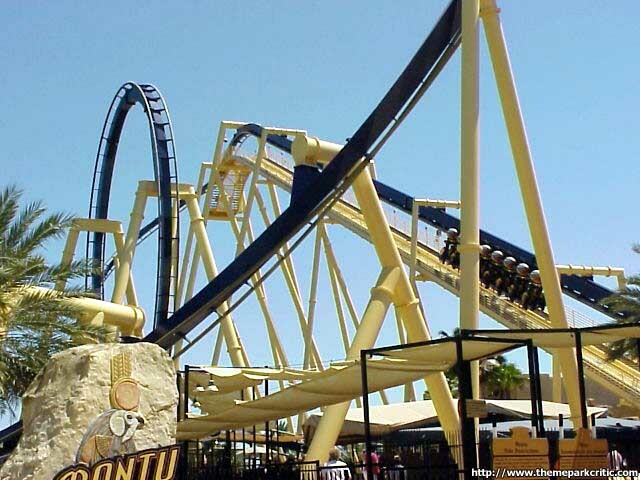 That said, B&M knows how to make quality coasters and Montu lives up that tradition. 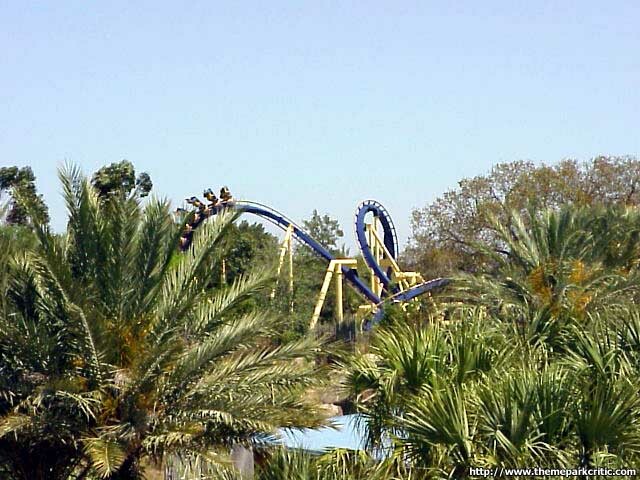 Montu is the second best coaster in Florida, when ridden in the front row, behind Kumba, another B&M design. 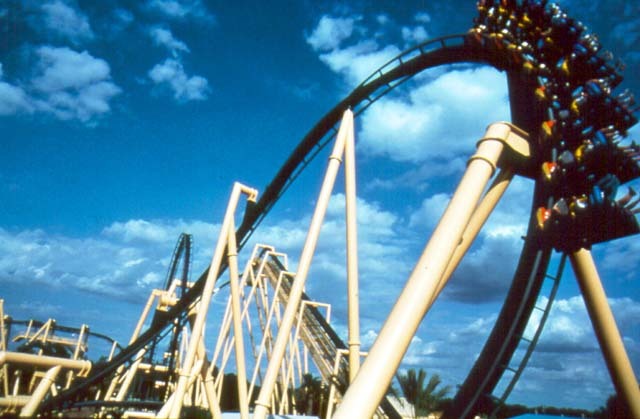 This is the best inverted coaster of all time! So many elements and inversions its mindboggling! i love the first loop and batwing. truely incredible experience. Take the front for the best ride. A good ride, but not perfect. The brakes especially cause me to dedect a point. 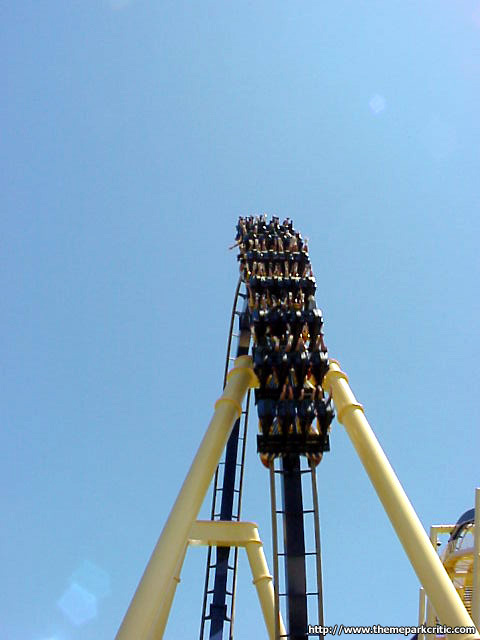 A very, very fun ride, but better loopers exist. 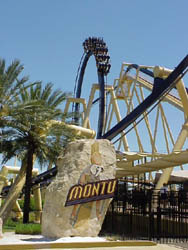 MONTU is great the only other inverteds i can think of that match it are teh duelling dragons and nemesis in britain ( 4g, designed by john wardley , resides within the grounds of the great alton towers, two years older that this and barely higher than the surrounding trees, but ride this and ull see what i mean!!) 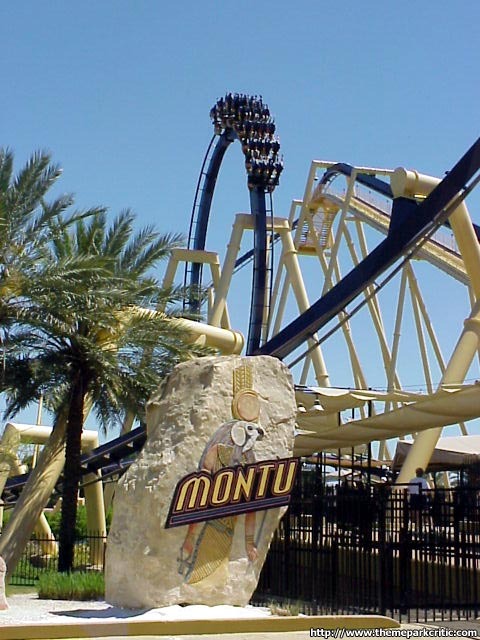 MONTU IS GREAT! 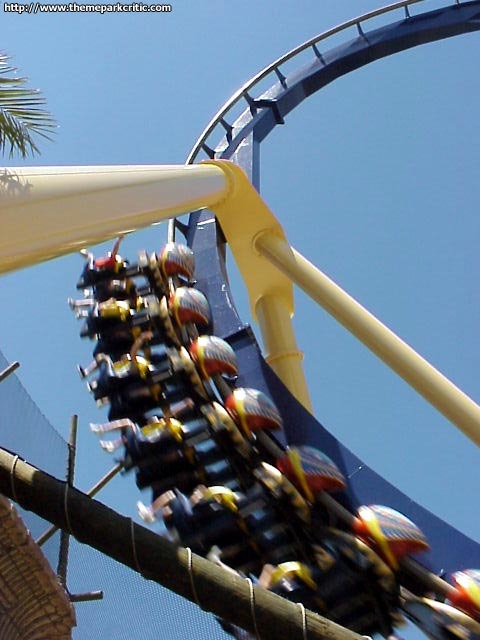 Another Great coaster, VERY Intence! The Batwing element was the best part, Too bad they breaked it too much from when it first opened.... Oh well, the Themeing makes up for it, also.... The Aligators are gone, Oh well. 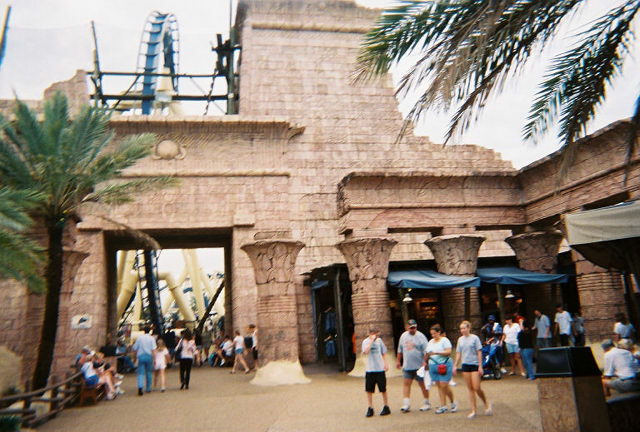 At first the ride was great and screamed along, but lately it has been rather tame. 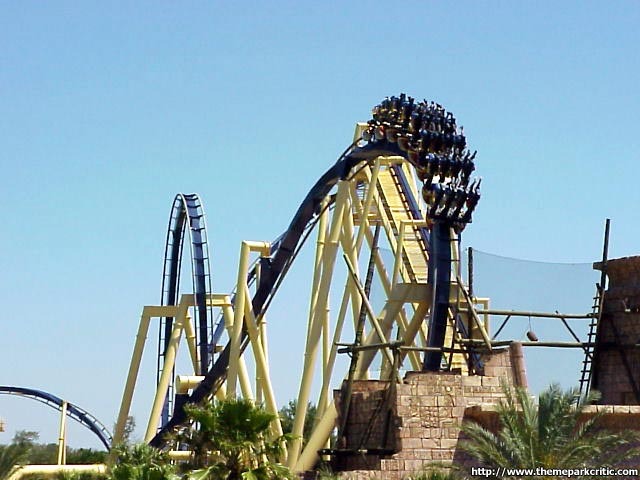 Montu seems slower than ever with a heavy trim and mid-courses. This ride has seen better days. 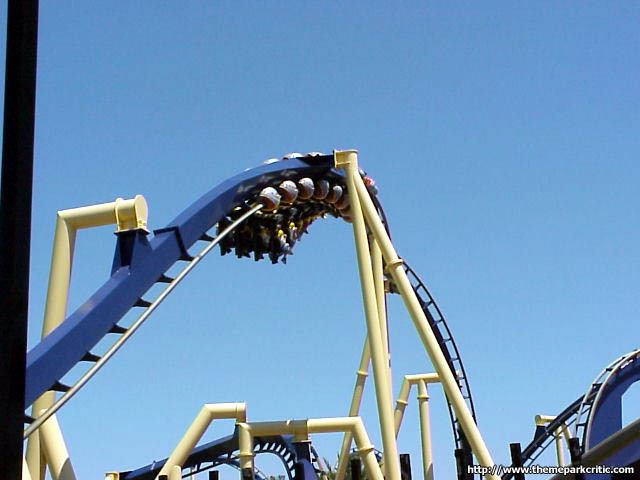 too many loops to count, i lost track after 3 or 4. the theme of the ride is wonderful, the inversions are intense(especially the batwing) and the drop into the ditch right before the corkscrew gives you a great footchoper. and for a ride with so many wipping curves and loops, its incredibly smooth. 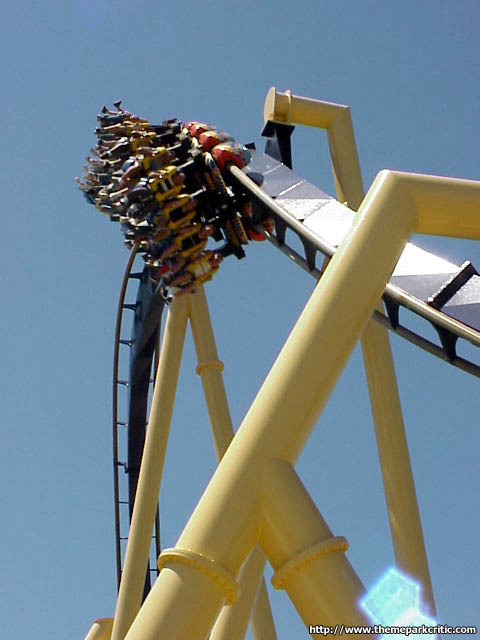 this is a great all around ride. the batwing in the wholes is the best part. A love Hight And The Speed And The Frist loop Takes a long time to get up and go over. 63 mph and The frist batwing ever. In the Batwing i tried to lift my arms but couldnt! But So smooth My head never hit the harness!